Staff from The Local Choice group choosing to brave the freezing cold outside for a night translated into an incredible gift of warmth for abandoned babies in Mpumalanga. Through the South Africa SleepOut initiative, staff from The Local Choice accompanied by CJ Distribution and CJ Marketing, not only raised awareness about uMephi House, in Middelburg, but also ticked a number of items on their wish list – including a new freezer and stove. 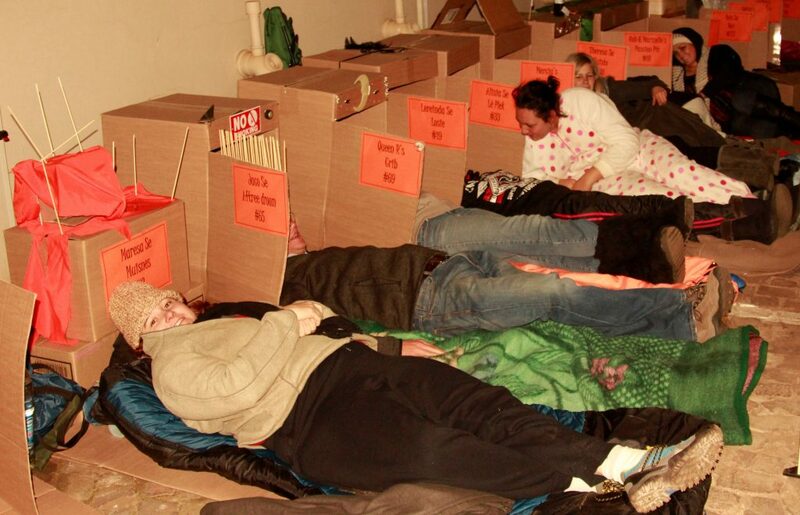 While actively involved in social responsibility projects on a regular basis, it was the first time the company took part in the SleepOut, Group Marketing Manager Rachelle Campbell explains. “This year, we tied the SleepOut in with our support of the Dis-chem Foundation’s #MillionComforts campaign. Our SleepOut not only fulfilled uMephi’s wish list, but also added 4 312 sanitary pads to the #MillionComforts campaign for underprivileged learners and distributes these in needy communities through the Caring4Girls organisation. Every minute of the icy night was worth it though when staff visited uMephi on Tuesday, July 4, to hand over the donations. Their wish list had not been extravagant and included items like nappies, barrier cream, baby food, formula, cot mattresses and the freezer and stove. 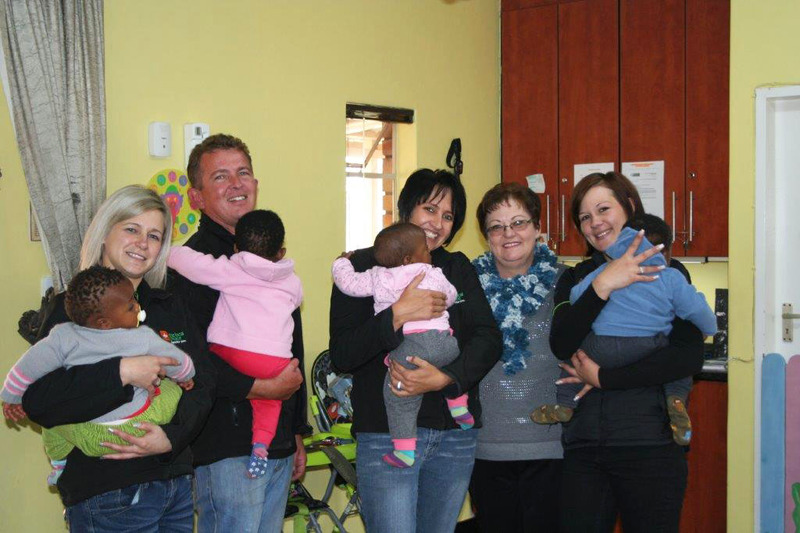 “What a special experience the handover was – even though we were all quite emotionally drained by the time we left. The home looks after 13 babies and toddlers at the moment and Elsie Labuschagne, the house mother, told us some of the horrific stories of how these babies were found in black bags and in open fields, abandoned and left to die,” Campbell says. Labuschagne was extremely emotional at the sight of all the baby care items and nappies the Local Choice Group had collected and completely overwhelmed when she saw the freezer and stove. “Elsie burst into tears. She said she had been hesitant to put these two items on the wish list because they are expensive, but then thought ‘if you don’t ask, you can’t receive’. “We’re so glad she did and would like to thank Defy for the generous donation of the stove and freezer. These items are going to make it so much easier for Elsie and her team to adequately care for the children at the home. Procter & Gamble also made a donation of premium-quality nappies, for which we’re extremely grateful,” Campbell says. The team enjoyed a very special time playing with the little ones and seeing them embrace the love and warmth of the occasion. “We couldn’t have chosen a worthier cause; the work they do at uMephi is commendable and we look forward to supporting them in the future.” Campbell reminds the public that all The Local Choice pharmacies are running the #MillionComforts campaign until 16 July. Dis-Chem foundation aims to hand over 10 million sanitary pads to the Caring4Girls organisation this year and the Local Choice Group is proud to have contributed to this objective. “We want to remind our customers and members of the public to pop into The Local Choice and support #MillionComforts by simply buying sanitary pads and placing these in the special donation bins in-store. With the public’s support and that of our Local Choice customers, we can, literally, change the lives of millions of girls,” Campbell concludes. The Local Choice Head Office Team braves the cold.